Whispers in the Loggia: In Anglicanorum First, US Ordinariate Lands A "Flying Bishop"
In Anglicanorum First, US Ordinariate Lands A "Flying Bishop"
Almost four years since Benedict XVI created a continent-wide jurisdiction for US and Canadian Anglicans entering communion with Rome, the Houston-based Ordinariate of the Chair of Peter has reached a watershed moment: at Roman Noon, the founding head of the 42-parish fold, Msgr Jeffrey Steenson, stepped aside at 63 on his own request as the Pope named Msgr Steven Lopes, 40 – the San Francisco-bred CDF staffer who began his decade there as Cardinal William Levada's personal aide – as the first bishop-ordinary for any of the three local churches founded under the terms of Anglicanorum coetibus. While the choice of a Roman-rite cleric as "flying bishop" of the sprawling Anglo-Catholic diocese might appear unusual on the surface, beyond being steeped in the ordinariates from their inception given CDF's lead responsibility for the Anglicanorum project, Lopes' disposition fulfills both the theological and practical requirements for the unique post to function as effectively as possible. For one, as Steenson as well the heads of the English and Australian ordinariates – all of whom were Anglican bishops before "swimming the Tiber" – are married, the founding ordinaries couldn't become Catholic bishops, even whilst being granted all the jurisdiction and insignia of the episcopacy, save for the ability to ordain. As having a bishop of their own has been seen as a key aspect toward affirming the project's ecclesial "maturity," then, a celibate was needed. Practically speaking, meanwhile, as the securing of a bishop frees the ordinariate from having to call on Latin-church prelates to ordain the steady stream of clerics who've joined its ranks – 62 so far, most of them married – Lopes' youth and lack of a family will likewise make it easier to handle the ferocious traveling Steenson took on to be present to his scattered flock. In a message to the ordinariate released this morning, the retiring prelate – a onetime sportswriter and Oxford-trained patristic scholar – indicated that the choice of the new ordinary was made using the "significant consultative process" laid out by the retired pontiff in Anglicanorum, under which the ordinariate's 13-cleric governing council prepared the terna from which Lopes was chosen. Beyond the completion of the missal project, earlier this year the Stateside Ordinariate dedicated an ample headquarters of its own: a jewel-box of a Chancery (above) adjacent to its "principal church," Houston's Our Lady of Walsingham parish, which now becomes a cathedral in the proper sense with the arrival of a bishop. Upon his ordination on Candlemas Day, 2 February, Lopes will be based there, inheriting a staff led by now-Msgr Larry Gipson, the onetime pastor of the largest parish of the Episcopal Church, H-Town's St Martin's, where his congregation included former President George H.W. Bush. The ordinariate's administrator until Lopes' arrival – after which he'll bear the title "Ordinary-emeritus" – Steenson will introduce his successor at a 10.30 Central press conference today in the Walsingham Chancery. 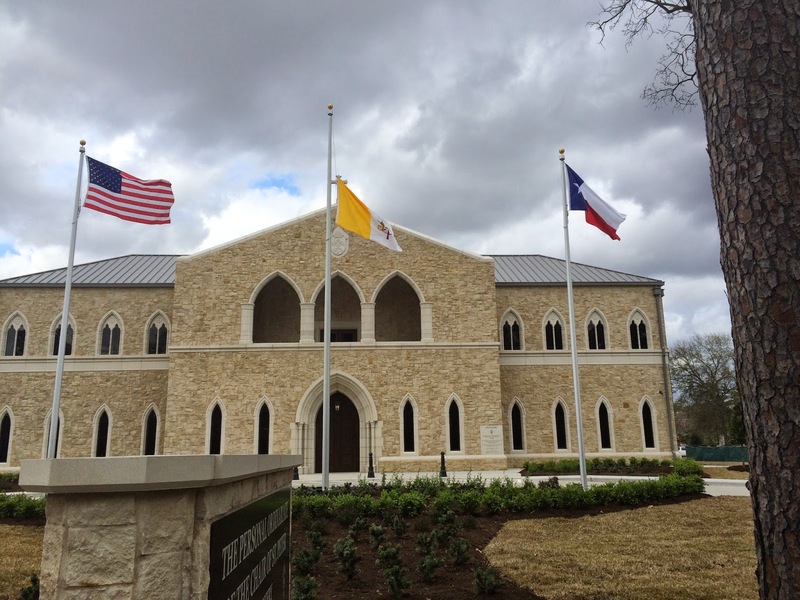 For reasons of space, the bishop-elect's ordination is most likely to be held in Houston's Co-Cathedral of the Sacred Heart, with the CDF prefect Cardinal Gerhard Müller ostensibly to preside. 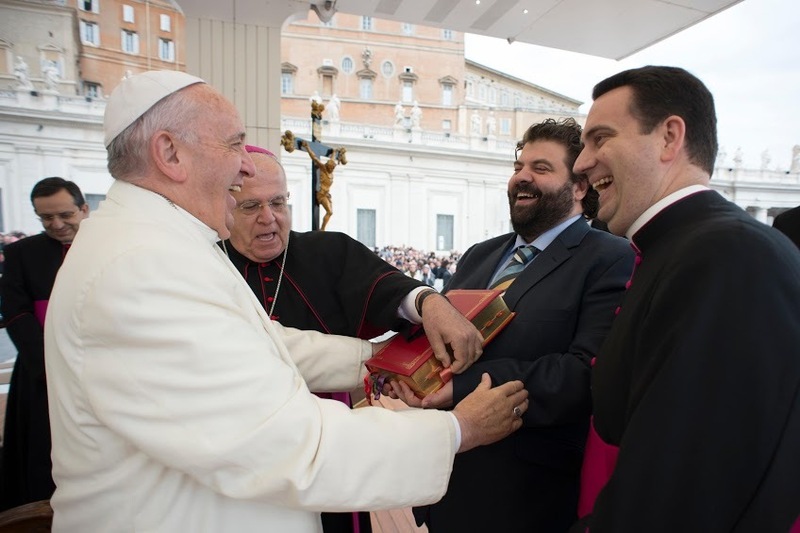 Given the spread of the ordinariate's charge, with the appointment Lopes becomes the sole Latin-church bishop to hold joint membership in the episcopal conferences of both Canada and the US, a distinction likewise enjoyed by a handful of Eastern-church hierarchs.